ABC/Pawel KaminskiDan + Shay wrote their four-week #1, “Speechless” after seeing their wives in their wedding dresses for the first time. So it makes perfect sense that fans would want to use the duo’s latest hit in their own ceremonies. 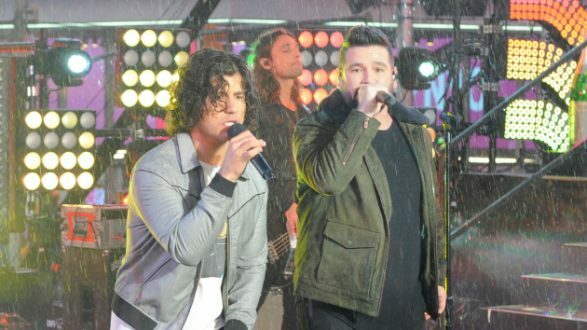 That's why, in response to fan demand, Dan Smyers and Shay Mooney have put out an acoustic version of “Speechless,” specifically for the folks who asked for it for their weddings. They've also given their previous #1, “Tequila,” the same treatment. The acoustic version of “Tequila” almost instantly became a hit, climbing to #7 on the all-genre iTunes Songs chart shortly after its release. The acoustic takes on both “Tequila” and “Speechless” are available to stream or download now.